Zbigniew Herbert valued humankind’s architectural achievements more than music or even literature, and called them an ‘art made of imagination and stone’. This admiration was easily noticeable in the way he wrote about architecture as ‘the highest art that organises all that is visible’. The artist perceived buildings with both his senses and emotions — this may be the reason why his notes on architecture remain relevant and fascinating today. 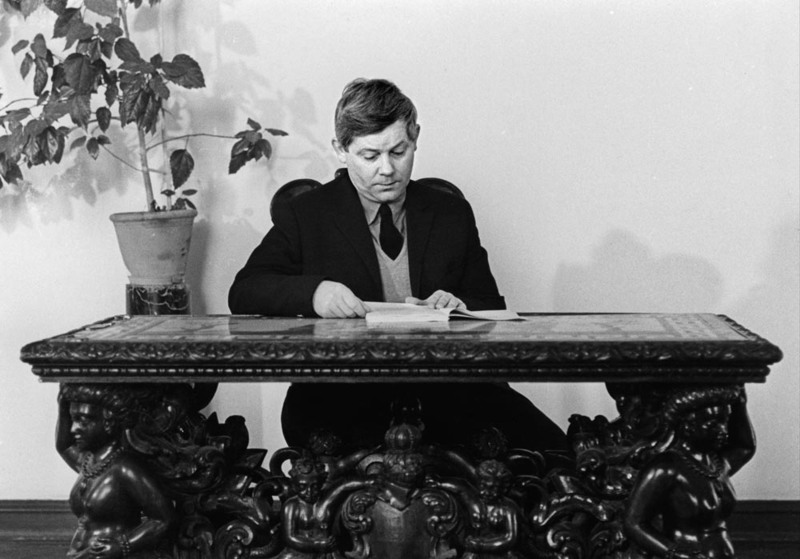 Zbigniew Herbert was born and raised in Lviv. He studied in Kraków and Toruń, and later moved to Sopot where he worked for some time. Still, he spent most of his life in Warsaw. From a Polish perspective, it may seem that the poet spent his life surrounded by wonderful architecture, such as the ornamented tenement houses of Lviv and Kraków, Toruń’s impressive monuments, and the beautiful resorts of Sopot. 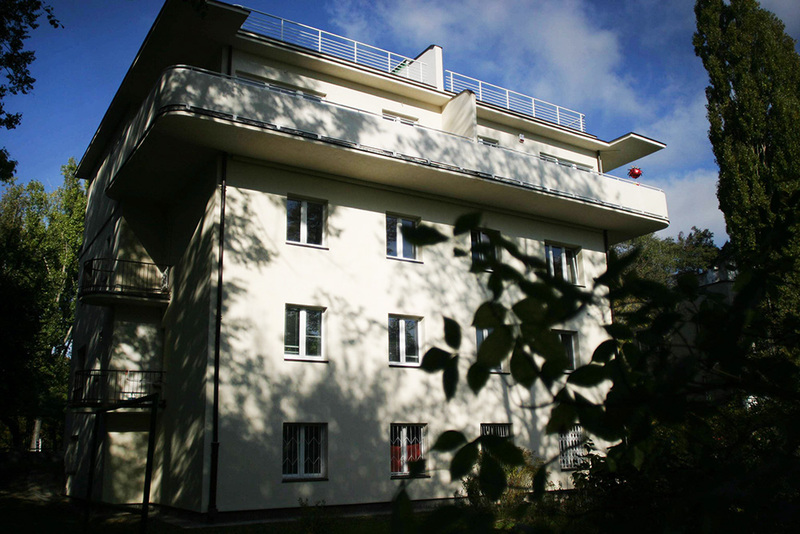 In Warsaw, for 20 years, the poet lived in a cosy, pre-war tenement with a view of a park. I travel around Europe to uncover traces and signs of a lost society from the depths of humanity’s long and tragic history. This is why a Romanesque column from Tyniec near Kraków, a tympanum from St. Petronilla's church near Vienna and reliefs in St. Trophimus' cathedral in Arles have always been not only a source of aesthetic experiences, but they also made me realise that there is a fatherland that can be understood in a broader sense than just in the context of one's own country. In the evening, to find myself in a city I don’t know, a city I only sense, that I’ve read about. To leave my luggage in a small hotel room and get immersed in that city. It is an adventure, almost one of love. The poet did not travel with a guidebook in hand, nor did he pre-plan the routes of his trips. Of course, he visited the most significant monuments, but he valued this activity just as much as wandering along the streets, sitting in local bars and cafés. He looked for the spirit of the city not only in the material souvenirs but also in the light, the air and the mood of the city. Moreover, he drew and sketched the places he admired. Many of his sketchbooks are known for containing a plenitude of sketched impressions either of ancient temples, Gothic cathedrals from abroad or even the main square in Kazimierz Dolny. According to Andrzej Franaszek’s newest book, Herbert's first journey to a foreign country took place in 1958 – the poet visited Paris, France. From this, and every other journey, he would bring new poems and notes written in prose that were later published as collections of essays. He wrote a lot about architecture and his thoughts on the subject. Two of the collections were released during Herbert's lifetime, namely Barbarian In The Garden (1962) and Still Life With A Bridle (1993). After his death, Labyrinth On The Sea-Shore (2000) and King Of The Ants (2001) were published, as well as two collections that compile scattered notes from their author’s archives –The Gordian Knot (2001) and Mistrz Z Delft (editor's translation: The Master of Delft, 2008). Stone was not only a material, but it also bore a symbolic meaning [...]. There was a tight bond between it and the human being. [...] Humans and stone represent two cosmic powers, two movements in opposite directions, down and up. Raw stone falls from the skies, is subjected to an architect’s ministrations, the suffering of numbers and measures, and rises to the seat of gods. What he saw in architecture were traces of the development of our civilisation, yet he did not approach it analytically, but with his emotions and senses. What does marble smell like? For many days now, I've been haunted by a desire to smell marble. I know the smell of sandstone (I've sniffed around many different Gothic cathedrals), but marble?’, he wondered in one of his drafts. In others, Herbert praised the possibility of learning architecture by touch, ‘So I see them now for the very first time in my life, with my own eyes, in reality. In a moment I'll be able to go there, bring my face closer to the stones, examine their smell, move my hand along the columns’ grooves’. The Cathedral stands (if this static verb is adequate to describe something that rends reality and makes one’s senses reel) in a vast square (...). The first impression is no different from the last one and what dominates is a feeling of an inability to comprehend this architecture. The 14th-century temple located halfway between Florence and Rome is truly extraordinary. It is colossal, richly ornamented, made of marble and is striking with its plenitude of details and decorations. For Italians, a façade was a colourful procession, slightly exaggerated, like an opera with a choir of sculptures, mosaics, pilasters and towers. 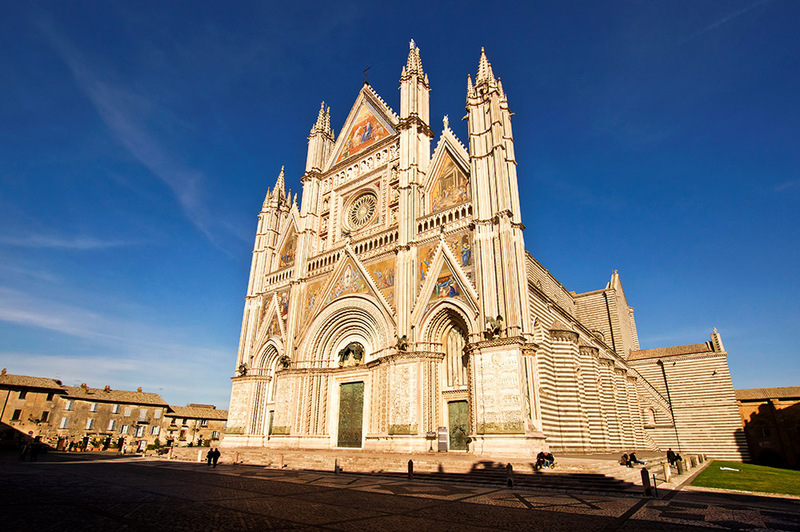 Orvieto is surely one of the most striking examples of a ‘painting concept’ of architecture. This is exactly what creates a mixture that is difficult to render – of admiration, embarrassment and complete immersion in this forest of colourful stones, and undulating surfaces of brown, gold and blue. the first hours in a new city should be devoted to wandering according to the following rule – go straight, take the third left, then go straight once again and take the third right. You can also walk along a sickle’s trajectory. There are many strategies, and all of them are good. 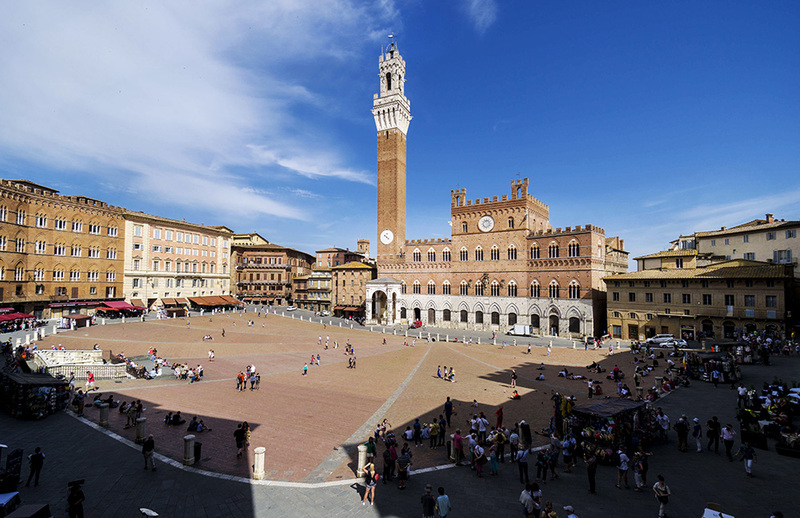 Siena is a perfect place for such wanderings because it is small, cohesive and, all in all, you always end up in Piazza del Campo, which is known for its amphitheatre-like shape (‘it resembles the concave side of a shell’). You can also end up nearby the cathedral — Il Duomo. One shouldn't give into the tyranny of guidebooks and look at this one of the world's most wonderful buildings from a slightly more critical point of view. After the initial shock and amazement, of course. We shouldn't ever deny ourselves this pleasure, after all the creators of the façade, including Giovanni Pisano, did everything to keep us in this state of aesthetic fever. Maybe instead of writing about stained-glass, which modulates the light just as a Gregorian chant modulates silence, or about mysterious chimaeras wondering about the abyss of centuries, it would be worth thinking about the way in which this stone moved upwards. In other words, about the workers – the bricklayers, stonemasons and architects. Not about their inner feelings experienced during their work on the cathedral but about the tools they used, the materials, their building strategies and wages. History swept through the city of Senlis. It lived within the walls of this city for a couple of centuries and later just abandoned them. (...) It resembles a silver coin with an image of a dangerous emperor from the past, which today can be tossed as if a nut. 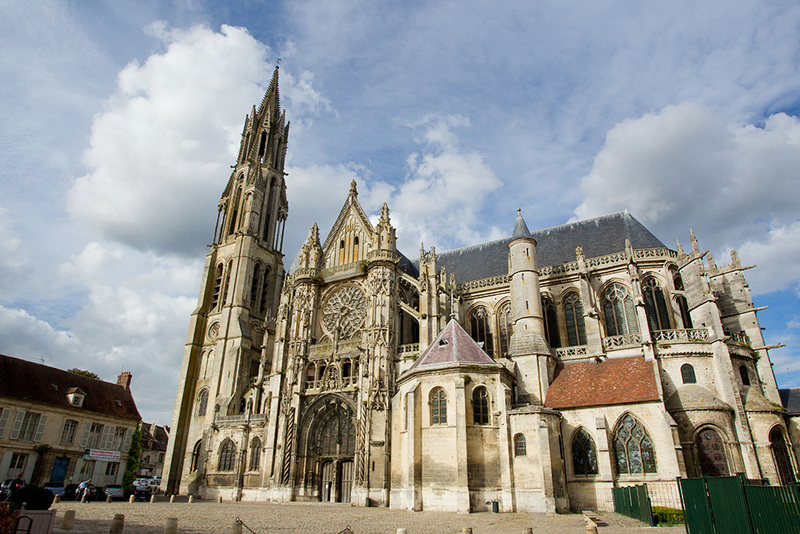 The construction of the Gothic cathedral in Senlis started a couple of years after the consecration of Saint-Denis temple’s chancel, and actually, the cathedral is its copy. While admiring at the rich ornaments of the Senlis’ church, Herbert was immersed in thoughts about the beginnings of Gothic art as a style. It is thought that the new style was born the moment when an abbot of Saint-Denis, Suger, decided to rebuild the old Carolingian church. He ordered the naves to be widened and covered with crossed-ribbed vaults that would enable architects to suggest new shapes for this temple. 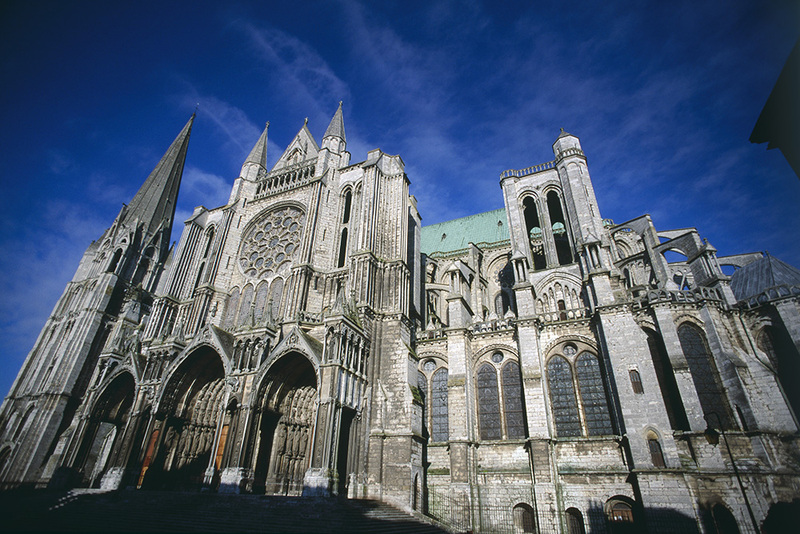 With some simplification, Abbot Suger is considered to be the father of the Gothic style in architecture. It is certain beyond any reasonable doubt, that the emergence of this new style corresponded to a new spiritual attitude. The focused and contemplative Romanesque cathedrals were contrasted with dynamic and violent constructions in which light – ‘the essence of divinity’ – began playing the main role. It corresponded with Suger’s admiration for splendour, a richness of interior design and stained glass – constellations of valuable stones sparkling in the light of a thousand burning candles. 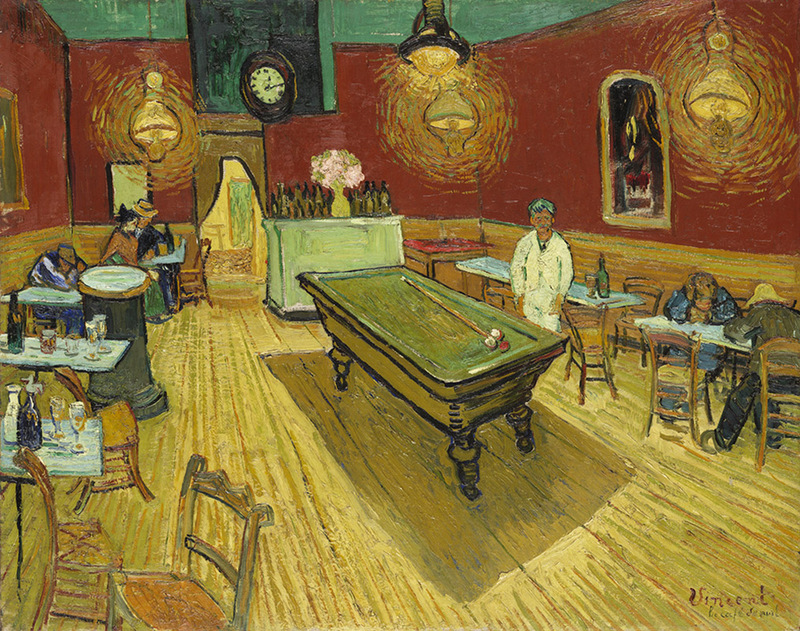 Vincent van Gogh lived in Arles for a little over a year, in 1888 and 1889. He went there, as Herbert reported, ‘to conquer the blue more intense than the colour of the skies, and the yellow more resplendent than the sun’. This little Provençal city is famous for its picturesque views, wonderful colours and scents. But its story is also very interesting. It dates back to ancient times – the walls of the Roman amphitheatre were so thick, that it served as a fortress inside of which were houses, streets and even a church. Our predecessors weren't as prone as we are to establish museums. They didn't turn ancient objects into expositions encased in glass showcases. They would use them to build new constructions; they incorporated the past into the present directly. This is why a visit to such cities as Arles, where ages are, and stones meet, is more enlightening than the reserved didacticism of structured collections. – So this is it. Van Gogh. He already died. – But you knew him, didn't you? – Who can really say they knew him. He lived alone like a dog. People were afraid of him. – So you didn't like him? – He was very funny. His hair was the colour of a carrot. Maybe you will visit Rome one day (...). In case of you do, you should learn about the most important buildings of The Eternal City. I don't want you to hang about the capital of the emperors like a bunch of uncouth barbarians. Herbert was constantly balancing between the sacred and the profane. Everywhere he travelled, he had a suitcase with the inscription ‘Mythological Atlas’ on it. It was filled with notes taken from some extremely sophisticated books. He would also use it to check whether footnotes in his books were correct. In this world, there is no other building that would occupy my imagination so permanently. (...) When I was travelling there, I felt a deepening fear that the reality would destroy the images which, for so many years, were my patient conjectures. 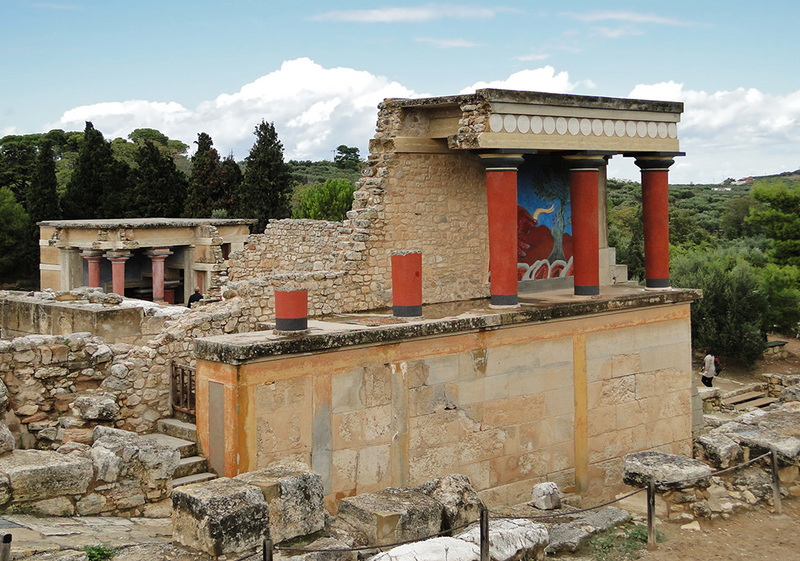 A Greek temple doesn't know the word ‘ruin’. Even those most destroyed by time are not just a heap of damaged parts or a disordered pile of stones. Both a column shaft stuck deep in the sand or a capital that has fallen off, are as perfect as a finished sculpture. (...) can we even talk about the history of ancient Crete if there are no written sources except for sparse Greek or Egyptian records? What stands as a testimony of the long history are material traits such as the ruins of houses and palaces, ceramics, frescoes, baked clay statues or sarcophagi. I remember the beautiful amphora in the Asiatic style, with black figures, which presents the unequal fight between Theseus and an animal – an obvious and easy victory for man. The Minotaur is down on his knees. (...) He's beautiful and defenceless. He has a shapely body of a young man with a bull's head. A long plait of blood flows from the back of his neck to the ground. Poor Minotaur! For the poet, buildings were works of art as well as traces of history and culture. They were not only material objects perceived with the senses, but also metaphors of past events – one can read his poetry to see and feel them through his eyes.